Parashat Pekudei provides an accounting of the the Tabernacle treasury. Pekudei means “records.” Rashi explains that the records of this portion introduce an accounting of the metals used in the construction of the Tabernacle. A midrash posits that Moses overheard some Israelites speculate that he had derived financial benefit from the donations for the Tabernacle because he was the treasurer in charge. Upon the completion of the Tabernacle, Moses called for an accounting to show that he had not personally profited from the contributions of the people. Based on this midrash, the Rabbis derived that we must not appoint less than two people with control over the finances of a city or community. The unlocking of Syed Farook’s iPhone is the supbject of dispute between FBI and Apple. On Shabbat Shekalim, we read the special section from Exodus instructing the Israelites to collect a half shekel from rich and poor alike. The collection serves the spiritual needs of providing funds for the Temple and the pragmatic need of taking a census, particularly of adult male soldiers. The collection of the half shekel in ancient Israel would normally occur in Adar, but would be in Adar II in a leap year. Its collection coincided with a number of community centered projects. The Mishnah Shekalim describes that in the month of Adar, they would repair roads and highways and mikvaot, and they would carry out all public requirements, such as make new cisterns and make sure all graves were properly marked. Infrastructure may not be the most exciting topic for most of us. But the Mishnah’s linking these duties to the half shekel, I believe, spiritualizes these acts to a point that they’re part of the ongoing task of building and strengthening the nation. The way our society works is that we pay taxes to the government who are charged with the task of maintaining our public works to protect our health, safety and well-being. When our infrastructure works well, we all succeed. When it fails, we all suffer. The newest frontier in infrastructure centers around the Internet, cellular phones and cyber-security. Due to the relative newness of this field, lawmakers, law enforcement agencies and courts are grappling with the extent to which government should have access to the personal digital data of individuals. The struggle between government and the private sector has come to a head in recent weeks. 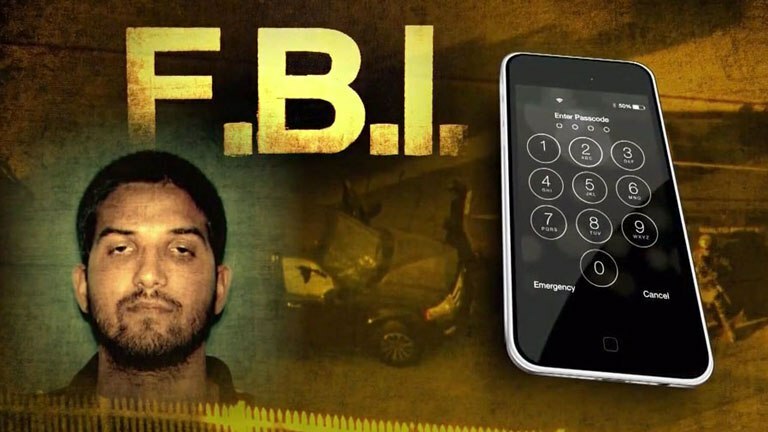 The FBI wants access to the cell phone data of Syed Rizwan Farook who, along with his wife, murdered 14 of his co-workers in a San Bernardino, CA, social service agency. With evidence suggesting that their terror act was at least inspired by ISIS, the FBI is interested in unlocking Farook’s iPhone to access the data that may be vital to the investigation. However, Tim Cook, CEO of Apple that manufactures the iPhone, has resisted working with the FBI to unlock the phone. He cites the company’s needs to protect the privacy of its customers and fears that if government can access personal data that opens the door for improper surveillance by government and hacking of data by bad actors. 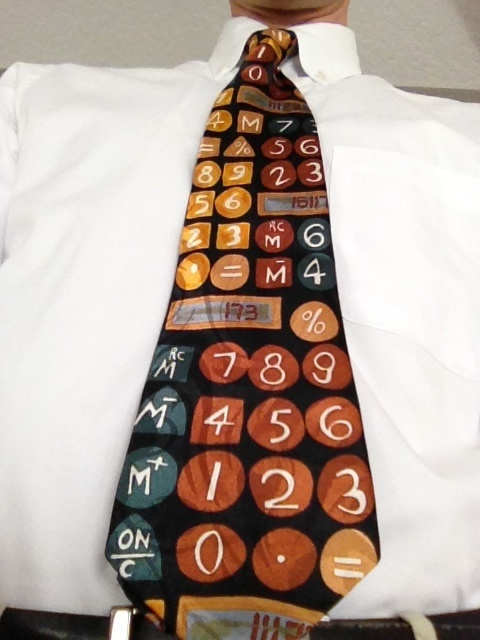 I own Apple products and find that they have created great tools to enhance my life. However, I believe Tim Cook is wrong. It is the government’s job to protect us. As taxpayers we pay for this protection. In a world that has gone mad, I want the FBI to have all the tools that it can lawfully have at its disposal in order to protect us. When Target had its servers hacked exposing personal data of 70 million customers, there was understandable outcry by the general public. Yet, what the scandal showed about our society is that many of us willingly entrust our personal data to for-profit corporations whose main interest is not to protect us but to make money for their shareholders. With respect to the government, however, I find it is a sad commentary on our society that there is less willingness to entrust personal data with the government whose sole purpose is to protect the public. Government is imperfect, and checks and balances must exist to ensure that the covenant between the government and people is not broken. Abraham Lincoln said: “This country, with its institutions, belongs to the people who inhabit it. Whenever they shall grow weary of the existing government, they can exercise their constitutional right of amending it, or exercise their revolutionary right to overthrow it.” I would add that at the same time constant revolution and weak government institutions are dangerous to our republic. Checks and balances, yes. “Trust but verify,” yes. But the the wholesale disempowerment of government institutions? No. We as a society invest in our public institutions to protect us, and when they fail, we must hold them accountable to uphold their highest duty. We entrust our government to require us to wear seatbelts and obey speed limits. We accept reasonable limits on our freedom like not yelling fire in a crowded theater. At airport security check points, we agree to take off our shoes and belts and throw away water bottles because we entrust authorities to screen for terrorists. In this light, I believe we need to accept a reasonable limitation on privacy in order empower our government to deter terrorism. The FBI needs access to Farook’s phone, and Apple and other industry leaders need work with government to protect the people not only their profits. Our sages interpreted the half shekel as symbol that everyone in society has an equal stake in building a strong, secure, prosperous and peaceful nation. On this Shabbat Shekalim, may we be inspired to do just that. 15 Seven days shall you eat unleavened bread; the first day you shall put away leaven out of your houses; for whoever eats leavened bread from the first day until the seventh day, that soul shall be cut off from Israel. 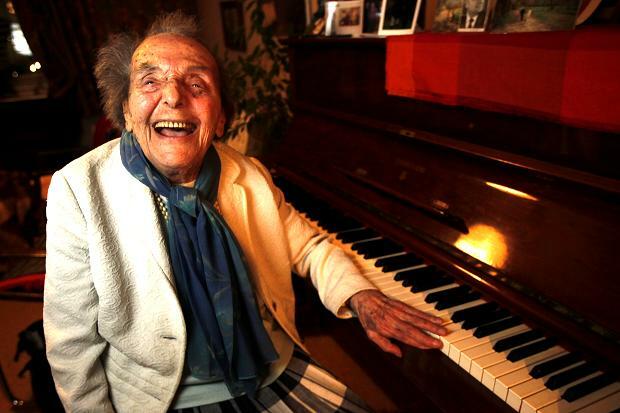 Alice Herz-Sommer, the world’s oldest pianist and world’s oldest Holocaust survivor, died at 110. On Sunday night, the Academy Awards ceremony will take place. Many of us will watch the coverage of this glitzy annual spectacle. I’m sure if we polled the congregation, we would hear about a number of films that we hope will win an Oscar. Let me tell you what I’m rooting for. In the category of documentary shorts, one of the nominees is a 38-minute film titled: “The Lady in Number 6: How Music Saved My Life.” It is about the life of Alice Herz-Sommer, a renowned concert pianist and survivor of of the Theresienstadt concentration camp. She was known as the oldest living survivor of the Shoah, that is until she died last Sunday at the age of 110. Friday’s New York Times carried her obituary. Herz-Sommer devoted her life to channeling what she regarded to be divinely inspired classical music through her hands playing a piano. She played up until her death. Well past her 100th birthday, one finger in each hand became immobilized, and she reworked her technique to play with eight fingers. In reading about this feat late in her life, I was reminded of a text in this week’s Torah portion, Pekudei, and accompanying commentary. And when Moses saw that they had performed all the tasks–as the Lord had commanded, so they had done–Moses blessed them (43). May Adonai our God show us compassion; may God establish the work of our hands. May God firmly establish the work of our hands (90:17). Alice Herz-Sommer was a modern day embodiment of the divine presence resting upon the work of her hands. She was born in Prague on Nov. 26, 1903, one of five children of a cultured, German-speaking, secular Jewish family. The family traveled in artistic circles and were friendly with Franz Kafka and Gustave Mahler, both of whom Alice remembered. In fact, she remembered Kafka attending her family’s seder. Alice began piano lessons at five and at 16 began conservatory studies. Before her 20th birthday, she was giving well-received concerts throughout Europe. She married a businessman, Leopold Sommer, and they had a son Stephan in 1937. In 1939, many family members fled Czechoslovakia for Palestine, but she remained in Prague to look after her mother. In 1942, her mother was deported to Theresienstadt and was soon after killed in a death camp. She described this as the lowest point of her life, and she turned to music for solace. She resolved to learn and master Chopin’s Études. In 1943, Alice, her husband and son were deported to Theresienstadt. Despite the deplorable conditions there, the Nazis used this camp for propaganda. Many Jewish artists, musicians and intellectuals were interned there. The Nazis allowed in the Red Cross three times a year where they would find orchestras playing concerts and leave thinking the Nazis were treating the Jews well. Alice was forced to play on a broken, out-of-tune piano. Through it all, the music sustained her. She performed over 100 concerts in captivity, including all of Chopin’s Études from memory. She said that the music kept her, and the other captives who listened to it, alive. Tragically, her husband was deported to Auschwitz and later died in Dachau. Whatever happens at the Oscars on Sunday, Alice Herz-Sommer will remain an inspiration. In the film, she says that it was music that gave her hope in her darkest days. For her, she says, “Music is God.” Indeed, Alice Herz-Sommer mastered one particular expression of Divine energy and channeled it through her hands on a piano. In the time of the Torah, Moses blessed the people by praying that the Divine Presence would rest upon the work of the hands of the people. Let us be inspired by the words of Moses and the music of Alice Herz-Sommer that each of us can bring the Divine Presence into our world through the work of our hands. Our hands may feel broken at times, and the world is often unforgiving, but we can perform the work of our hands literally or figuritively. May it be God’s will that the Divine Presence rest upon the work of our hands.